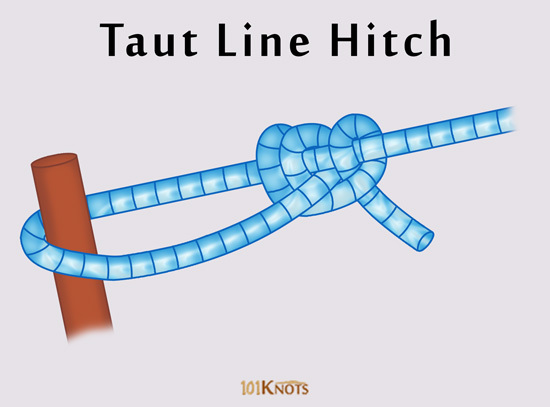 It is a non-slipping, adjustable loop knot hitch based on the rolling hitch. It is also known by the names adjustable hitch, tent-line hitch, tent hitch and rigger’s hitch. It slides freely but jams under load making line adjustments simple. 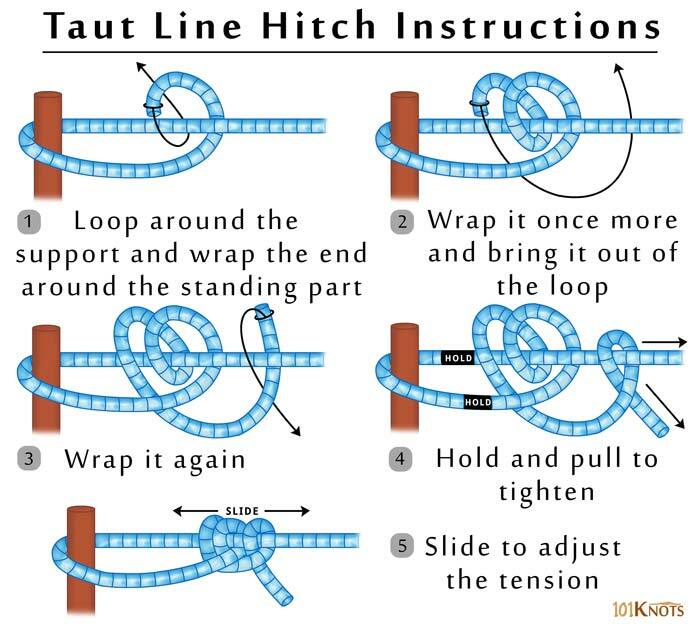 You could reverse the direction of the half hitch made in step 3 of the below diagram to avoid twisting the knot. Though it is mentioned in The Ashley Book of Knots, earlier use of the name can be found in Howard W. Riley’s Knots, Hitches and Splices book published in 1912. Being assigned a variety of names that could potentially mean other knots has created a plethora of confusion. The initial steps should not be confused with 2 half hitches that have a distinctly different tying method. You can finish it off with a slippery half hitch for easier untying. Trucker’s hitch– Less prone to slipping. Rolling hitch– Generally attaches a smaller rope to a larger one when the line of pull is almost parallel. Midshipman’s hitch– More secure but not as easy to adjust. Setting up hammocks (though a Prusik knot is a stronger alternative for attaching tarps to ridgelines). Campers use it to secure tent guy lines. For adjustable moorings in tidal areas.